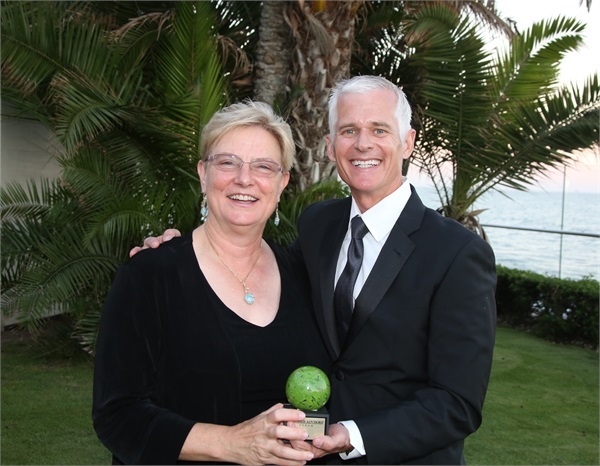 The Financial Fitness Center™ founder, Lois Leynse, with Roger Ochs, President, & CEO of HD Vest at the Premier Advisors' Forum in Santa Barbara, California where Lois was honored for the 9th consecutive year as one of HD Vest's top 75 performing advisors from across the country. During the celebration, she joined with the firm's senior executives, leading financial industry educational partners, and other leading HD Vest affiliated advisors in educational meetings and networking events, along with an awards ceremony and dinner. Roger Ochs was quoted as saying, "Every year I look forward to our Premier Advisors' Forum and the opportunity to meet with our most successful advisors and personally congratulate them. Their excellence in client service is an inspiration for other advisors in our firm, and indeed, throughout the financial industry."